2017-02-03 20:00:00 2017-02-04 22:30:00 Asia/Kolkata Heer Ranjha- Musical Nautanki! Heer-Ranjha is a love story from Punjabi Folk culture, which has been immensely popular and rendered in unlimited poems, plays, movies. Heer Ranjha – A Musical Nautanki shall portray its modern rendition in a unique musical way by one of the best artists of Ahmedabad. 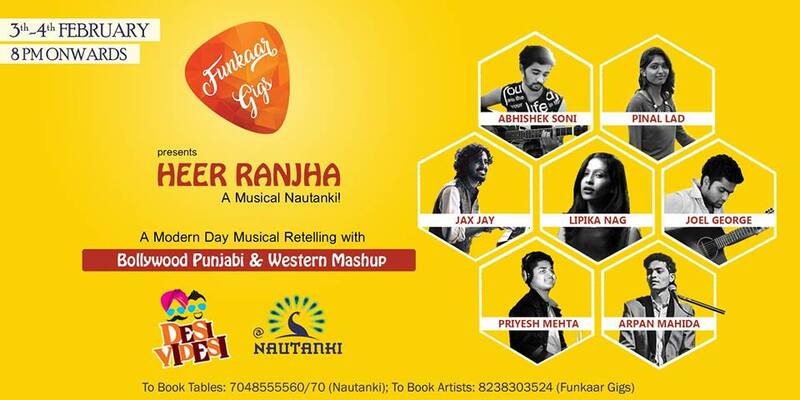 Experience this unique Bollywood Punjabi and Western Mashup with excellent food at Souq-Nautanki with a Desi Videsi Tadka.